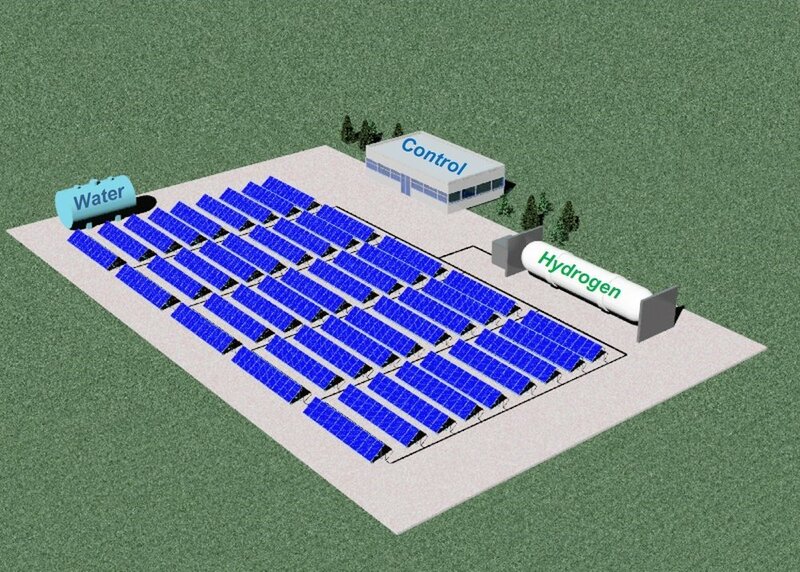 HyperSolar’s innovative technology is based on an integrated photoelectrochemical water-splitting device, where solar-converted electrons are maximally transferred to hydrogen chemical bonds. Gen 1 technology combines a readily available commercial solar cell and proprietary protective coatings and catalysts into a low-cost self-contained hydrogen generating photoelectrochemical cell. 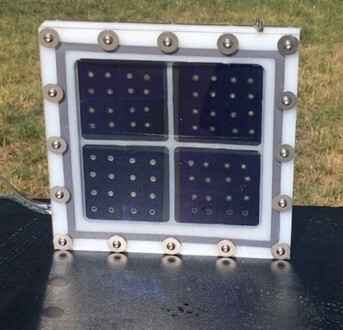 An array of these inexpensive triple-junction amorphous silicon cells (TJ a-Si) are integrated into a panel filled with water that safely releases oxygen and hydrogen. The hydrogen is captured, pressurized and stored. With these commercially available solar cells, we have achieved over 560 hours of hydrogen production, a record for a fully immersed solar cell. We are now in the process of finalizing the panel design and sourcing a contract manufacturer to build the panels.